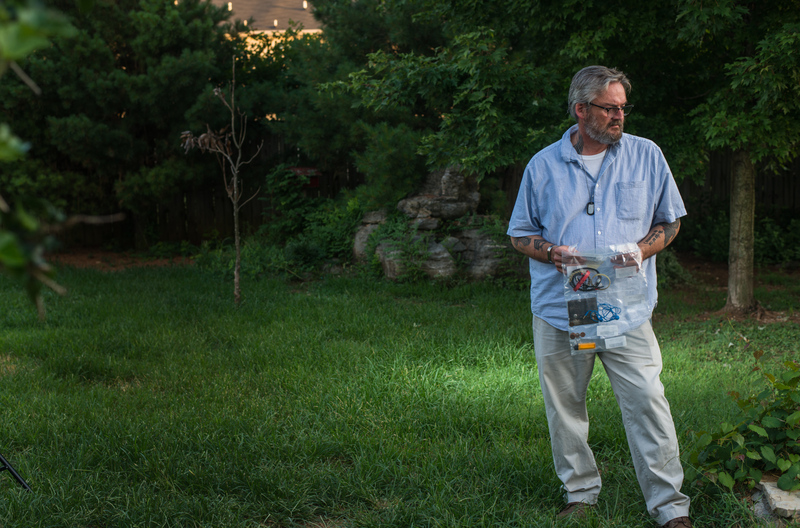 David Toombs holds the contents of his son's pockets and the personal items he was wearing at the time of his death. The misspelling of John's name led to a delay in the release of his body to his family. Sgt. John Toombs took his life on the campus of the Murfreesboro VA, the same day he was abrubtly kicked out of the VA residential drug program for being late to take his meds. He lingered around the grounds that night, writing letters to his father and others. John hanged himself at the construction site of what is now the new Residential Rehabilitation Treatment Facility. David Toombs is suing the VA and those involved to call to attention their callous disregard for for his son’s safety. David says the program director did not follow the VA’s own rules for cases like John’s and should have known John was a high risk for suicide. Three of Tennessee’s Veterans Affairs hospitals were ranked among the worst (one out of five stars) in the entire network of 150 hospitals, according to the Department of Veterans Affairs. A town hall was hosted at noon on a weekday in July, 2018, to hear concerns from local veterans served by the Tennessee Valley Healthcare system.